← Darwin Awards 2012 – too young to include? 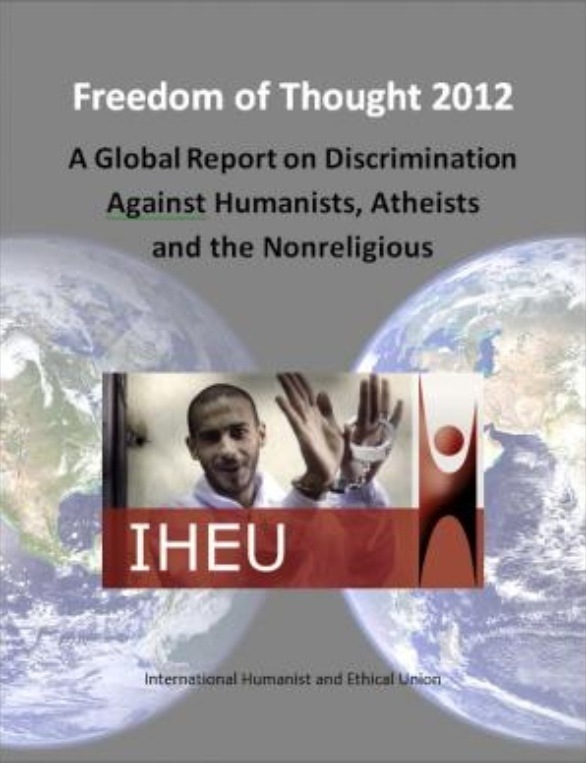 Headline points from The International Humanist and Ethical Union (IHEU) report Freedom of Thought 2012. The IHEU bringing together more than 100 Humanist, atheist, rationalist, secularist, and freethought organisations from forty different countries. It is very easy to take for granted that this blogger can say there is no god, argue that religion poisons everything on this blog, and know there will be no knock on the door for stating that. Humanism is a global idea. That empathy can transcend kin, culture, geography, creed. As such the cause of secularism to promote freedom of thought is not confined to the backyard. Keep informed, tell people, and let those that would surpress free thought spoken in public know we will add our voice.